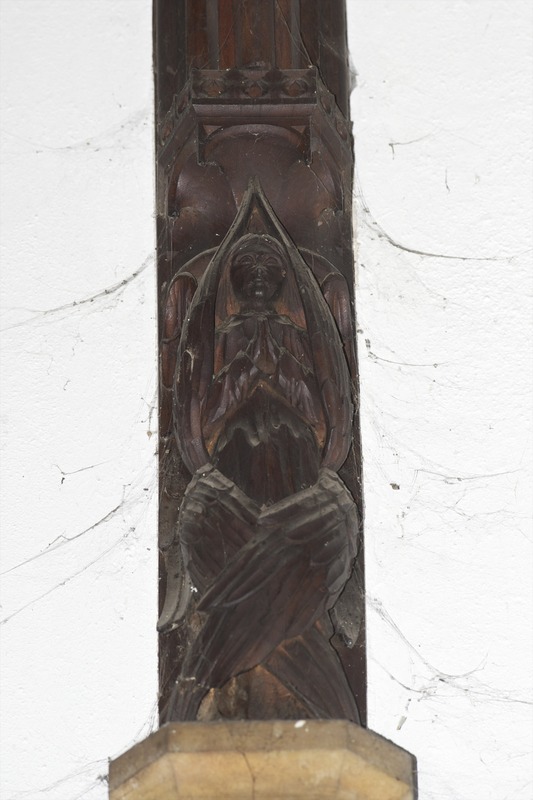 Preparing to commemorate the Manning rectors, Diss Museum has discovered church angel figures unseen for 150 years. They would have been created when the church was enlarged in 1857. But, being of dark wood high up in the sanctuary, they are almost invisible from the ground. Photographer Mark Bullimore’s pictures bring them alive again.